£25 - WHILE YOU WAIT! Need New Tyres? You can be assured of a professional wheel removal and fitting service that is second to none. Digital wheel balancing comes as standard with every job. We hold a good selection of tyres for cars & bikes ready to fit while you wait, but have the facility to order in any special requests, usually within 24 hours. 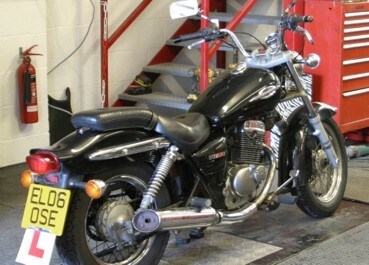 Our experienced team of motorcycle enthusiasts are specialists in servicing, repairs, fault finding and restoration. Looking to buy or sell a bike? We are official dealers for AJP Motos, SWM Motorcycles and WK Bikes and have a good selection of new and used bikes available to view in our showroom - pop in any time during our opening hours for a browse. Our staff will be happy to advise and help you choose - Finance is also available. If you're involved in a non-fault accident, before phoning your insurer, firstly give us a call 01244 289 429 or you can call McAMS direct on 0845 054 1000. McAms act solely on behalf of motorcylists in England & Wales to ensure that they receive a maximum compensation award, along with use of a replacement motorcycle throughout the duration of the claim process. For further information, telephone us or pop in and talk to one of our staff members. Professional wheel removal & fitting service including digital wheel balancing. Major brands in stock. Servicing available. 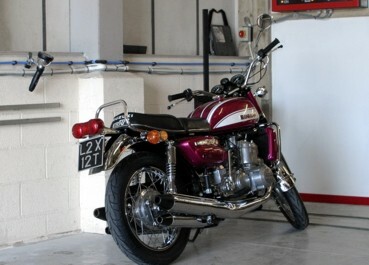 'Ride in, Ride Out' of our purpose built MOT facility. Just £25 inc VAT. Please telephone to book. Authorised dealers of AJP Moto & WK Bikes. 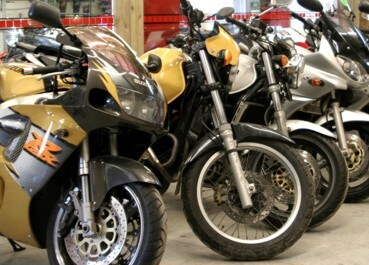 Visit our showroom to view our stock of new & used bikes. 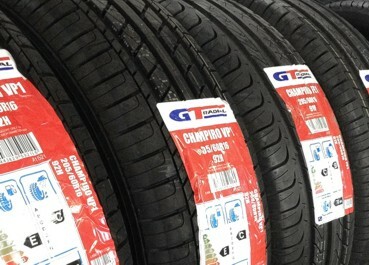 An extensive range of tyres for fitment to cars, vans, 4x4s and caravans replaced quickly & efficiently while you wait! Visit our facebook page for many more positive reviews! Bob's Tyres always provide us with an effective, reliable and invaluable service. We often recommend them to riders we train. They're the best we know! I knew nothing when I called Bob about a flat tyre. Told him the bike and he knew exactly what size tyre, what was the best type for the bike and the best make. Once I did my research, turned out he was right and had already given me the best price. No hidden charges, no extra fees. The price he quoted was the total price I paid, fitted. Amazingly knowledge, able, helpful, services any bike - even worth a drop in for oil and filter change! New tyre fitted 15 mins from drop in! Resprays, rebuilds, repairs - my one stop shop for anything I need done on my triumph tiger! Highly recommend! Bumped in to Bob's by accident while looking for some one else, excellent service from start to finish, first tyre person to actually clean the tyre of residue sealant in over 30 years of motoring, just had 3 tyres fitted to my car - I can't get them cheaper from my local tyre fitter so travelling 25 miles was well worth it, as I do about 1000 miles a week, I will be back again soon, thanks Bob. Popped in to see about an MOT. Done while i waited and well impressed with the way its run. Will defo use again. Very professional father and son setup and the best prices and service in the area. I'd been told about Bob and went to drop some bike wheels off! He went the extra mile, a great price on the refurb and bearing replacement as well as fixing my cannibalistic car when he was already busy. If you need tyres for cars or bikes, the service here is second to none I'll be back! Just had my bike fitted with Michelin Anakee 3's and can't fault Bob at all. Great service and looking forward to one of the off road trips to Spain in the future! Thanks, Barry. A great friendly service, Bob is very experienced and always happy to help. Best place to go to get tyres great service great prices highly recommended if you want someone you can trust to give you good advice on what tyres to ride on go here. On new & *used bikes. Ask Bob for details.